No place has been hit harder by the California drought than Tulare County in the San Joaquin Valley. 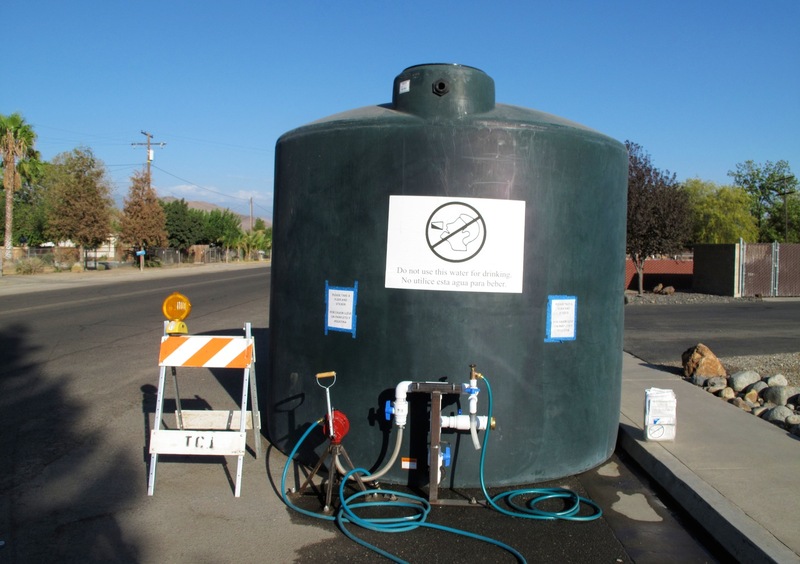 By now, most Americans have read or heard stories about residential wells going dry in the county’s rural towns, such as East Porterville, Orosi and Cutler. But it has remained unclear how water shortages are affecting people in these towns. How do they cope without running water in their kitchens and bathrooms? How has this affected their physical health and mental well-being? Now there is polling data to answer such questions. For the first time ever, a survey tool developed by the Centers for Disease Control to assess public health in disaster settings has been applied to a drought. 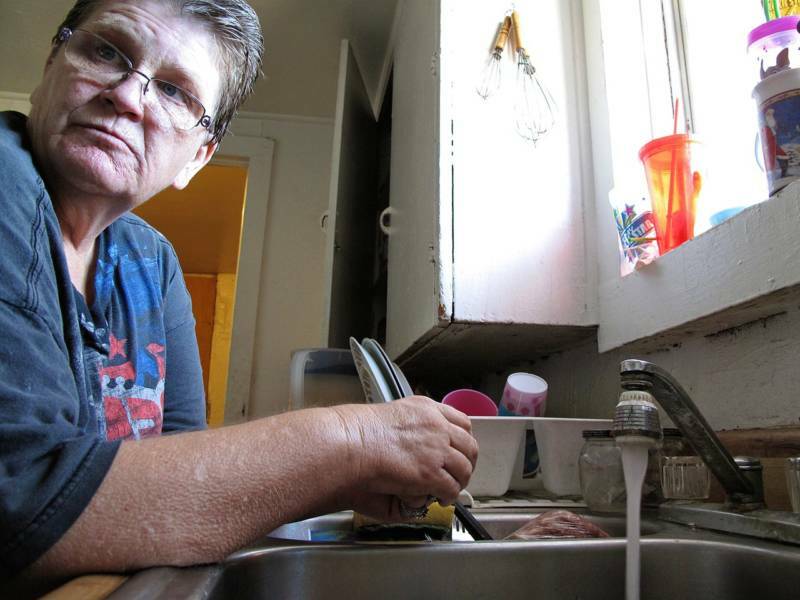 Specifically, it has been applied in Tulare County, which has had the state’s greatest number of residential well failures for several years running. The survey, conducted by the California Department of Public Health and Tulare County Health and Human Services Agency, was conducted over several days in October 2015. Interviewers visited more than 390 homes in north and south Tulare County to speak with residents about the drought. The north survey region included the towns of Cutler and Orosi; the southern region included East Porterville. Results were released on May 16. David Rozell, Tulare County’s public health emergency preparedness manager, said it has already proved valuable. In Cutler and Orosi, 67 percent of the interviews were conducted in Spanish; in East Porterville, 48 percent. At the time of the survey, about 9 percent of the homes surveyed in Cutler and Orosi did not have running water, compared to about 12 percent in East Porterville. Tomas Garcia, a homeowner in East Porterville, hauled water for more than a year after his well went dry in 2014. The experience led him to launch East Porterville for Water Justice, a group of residents working with state and county officials on a permanent water-supply solution. About 95 percent of residents reported they have taken a number of actions to reduce their water consumption during the drought, from cutting showering time to repairing leaks and replacing appliances. More than 70 percent said there is still more they could do. But many also reported taking steps that could present a health concern. For instance, 58 percent in Cutler and Orosi said they reduced hand-washing frequency, while 68 percent reported this in East Porterville. In both areas, about 63 percent said they cut back on washing food. Also, 60 percent in Cutler and Orosi and 70 percent in East Porterville said they stopped gardening, suggesting they were no longer growing their own food and likely switched to something less healthful. When people were asked why they hadn’t already come up with a permanent water solution on their own, the most common answers were either that it was too expensive, or that it was the landlord’s responsibility. In the first case, the only solution available to many homeowners is to drill a deeper well, because they are not close enough to an existing municipal water service to simply plug in a pipe. It can cost tens of thousands of dollars to drill a new water well, without a guarantee of hitting water. To try to hold landlords more accountable, Rozell said Tulare County recently passed rules that forbid a landlord from charging rent if there is no running water in the home. The county is also working with state officials on a permanent solution for unincorporated East Porterville, which has the greatest concentration of failed wells. It involves extending municipal water service from the adjacent city of Porterville. After a number of false starts, that project now appears to be moving forward steadily. “I have a lot of hope that by the end of this year, some of our members in our community will have some water hooked up,” Garcia said. Susana De Anda, co-executive director of the Community Water Center, said the survey is helpful to paint a better picture of the Tulare water crisis. But she said it isn’t enough. For instance, it captures only a small slice of the affected population, in areas where homes are concentrated. Many people in more rural areas were not surveyed and their situation has not been quantified. Rozell said the county is working on that. One of the important findings from the study was that most residents rely on television to get information about the drought. So the county plans to approach local TV stations about running public service announcements and providing specific coverage of the water crisis. The county will also develop public information materials urging people not to cut back on basic hygiene practices, such as washing hands and food. Last week, the county applied for a grant from the Centers for Disease Control to gather more data and use it to develop solutions to help people affected by the drought. One of the things Rozell found encouraging about the survey was the participation. Merely by knocking on doors unannounced, surveyors achieved a response rate in the survey of about 80 percent. This suggests people are eager for solutions and want to be involved.